2017 is going to be year zero for VR and volumetric experiences. Make no mistake: this will change all digital life as we know it today. And it will change your work, no matter what your discipline. But sketching in VR is still hard. It shouldn’t be. 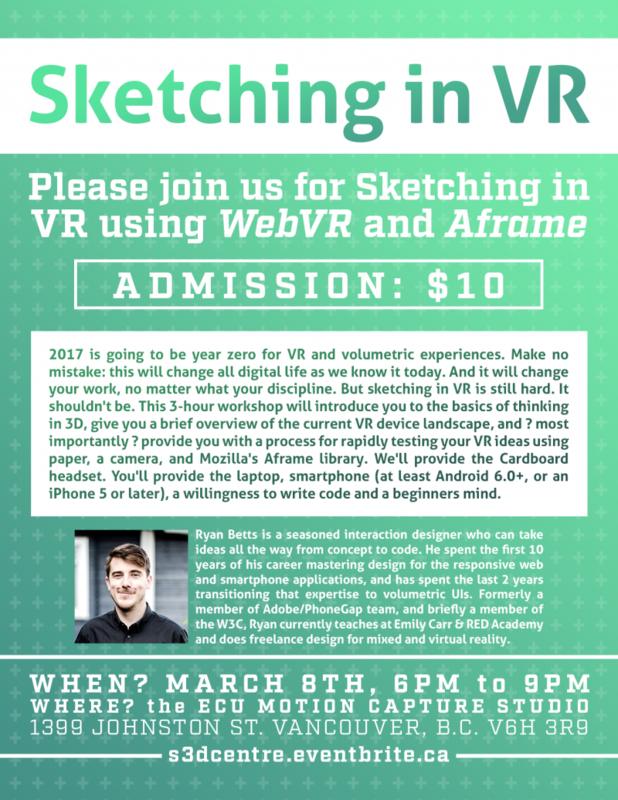 This 3-hour workshop will introduce you to the basics of thinking in 3D, give you a brief overview of the current VR device landscape, and – most importantly – provide you with a process for rapidly testing your VR ideas using paper, a camera, and Mozilla’s Aframe library. We’ll provide the Cardboard headset. You’ll provide the laptop, smartphone (at least Android 6.0+, or an iPhone 5 or later), a willingness to write code and a beginners mind.